This weekend I went to the first ever Dragworld event - the UK's biggest celebration of drag culture. It was held at Kensington Olympia in London and was an amazing opportunity to be surrounded by some of my favourite queens and mingle with other fans. Drag queens are so inspiring to me because they are brave enough to go against what is considered "normal" when it comes to gender stereotypes. In some cases even leaving their families and creating their own by surrounding themselves with positive, like-minded people. Drag is their career, their passion and it is an art form that deserves to be respected just as much as any other. 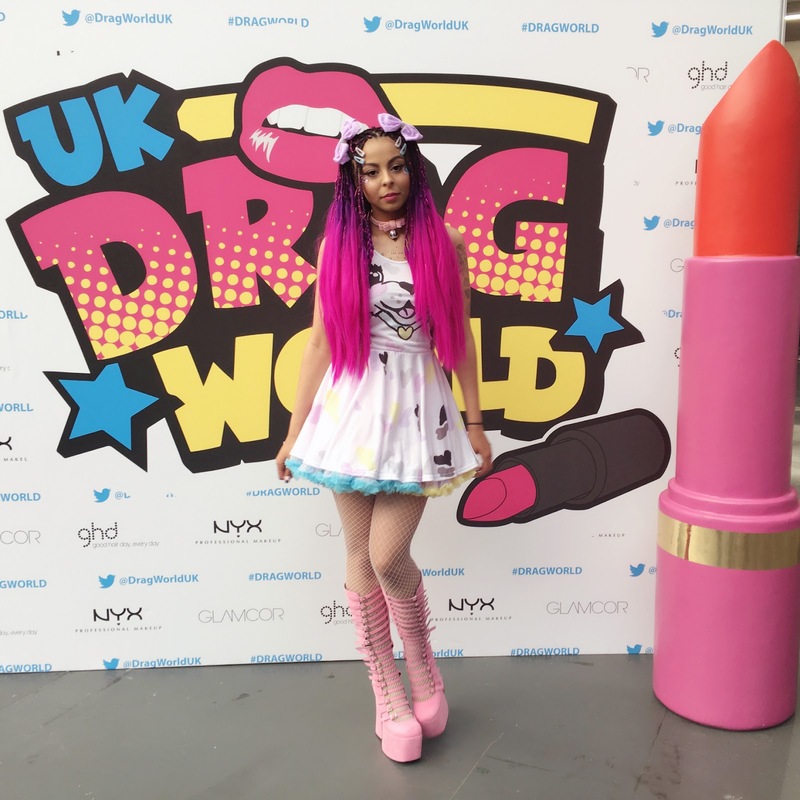 This event is proof of just how popular drag is getting worldwide. 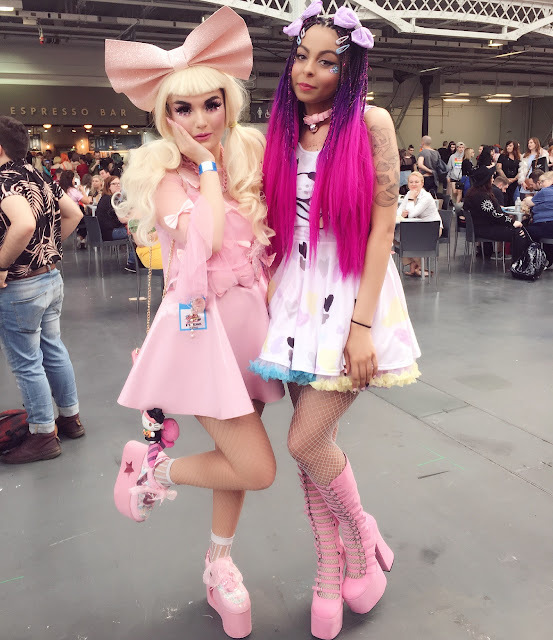 It's nice to know that it has inspired so many people to feel comfortable dressing however they want, whenever they want and not worry about being judged. I attended with two of my very best friends, Rory (in the picture with me above) and Nuran, who I just couldn't seem to get a decent photo with the whole day which was just typical. The main dress theme for the event was "Toybox" so I did what Shady does best and dressed up as a pastel doll! I could interpret it no other way. I knew exactly which brand to go to for a perfect pastel circle dress; Roxie Sweetheart. 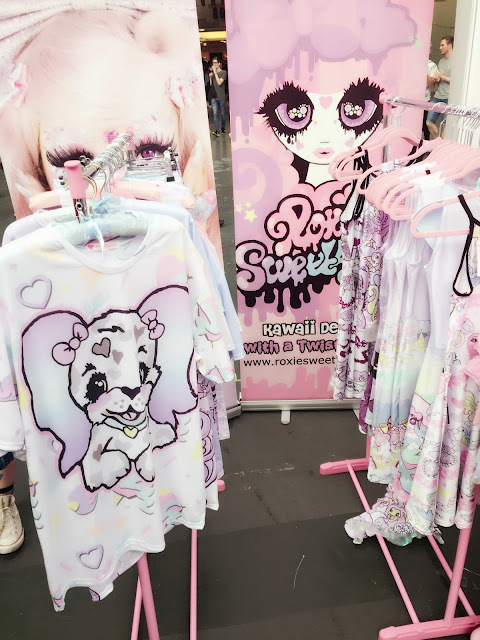 It's a small independent brand with unique kawaii designs, drawn by the owner herself. I have had the chance to model some of their items before and already own a few myself. I chose to get the poochie circle dress because the colourful dalmatian print was adorable and matched the bright tutu I teamed it with perfectly. Size small fit me really well and could easily be dressed down for a more casual look with some leggings, but the tutu definitely added the drama I wanted to the shape of the dress. I made sure to visit the Roxie Sweetheart stall to say hi and see what goodies they had to offer. They had been doing really well at the event, which was lovely to hear. I think it's so important to support small creative businesses like this one, especially when it is owned by a friend. 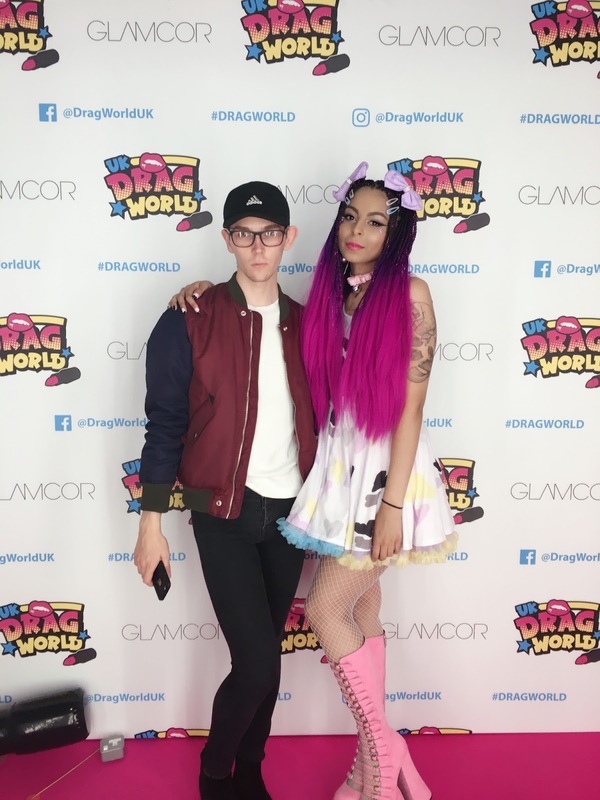 Speaking of the owner, she looked gorgeous at Dragworld, as always. Her makeup was on point! 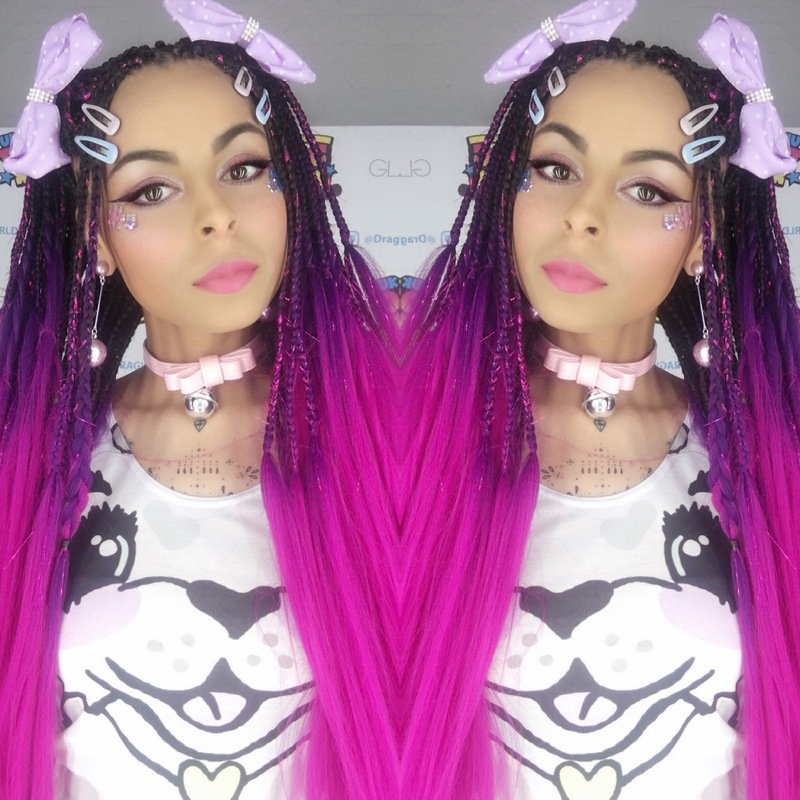 I need to learn how to create glitter eyebrows like that. It was so great to see Roxie Sweetheart getting exposed to a new audience, who seemed to love the brand as much as I do. 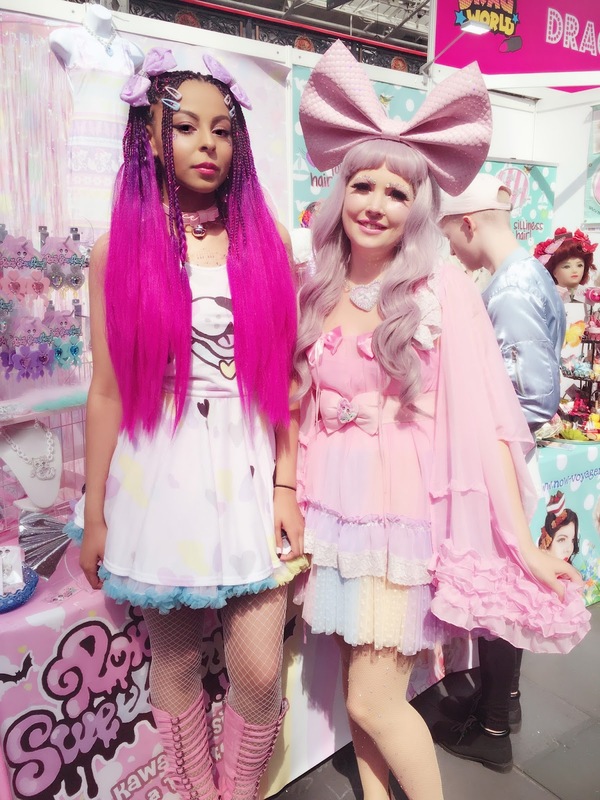 I couldn't help eyeing up the giant bows that were on offer and planned to buy one when revisiting the stall, but unfortunately never got the chance. I'll have to see if I can still cop one online...You can check out their online store too, here. If you're not wearing nails, you're not doing drag - Alaska Thunderfuck. 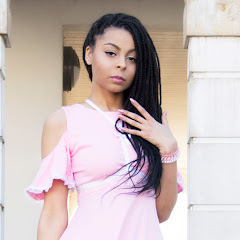 Continuing with the doll/poochie theme, I wore a baby pink collar from 8thSinCreations. It has a cute jangly bell, just like an animal collar would and is a fun effect. 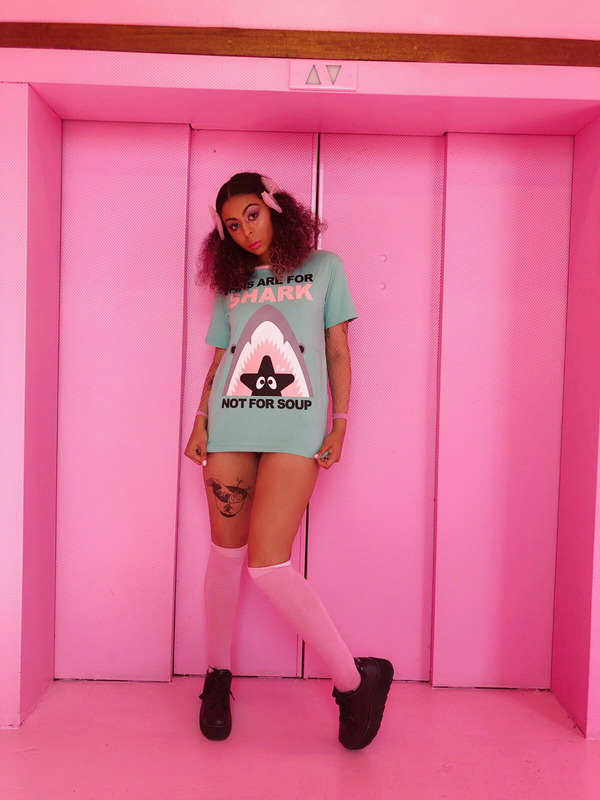 They are one of the UK's best online alternative accessory stores in my opinion, with affordable prices. I'm in love with all their pretty harnesses. 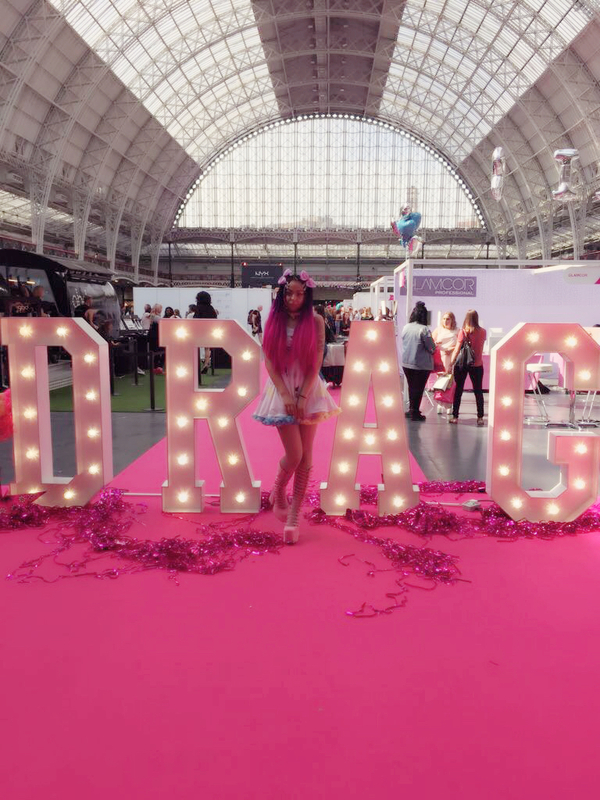 They had a stall at Dragworld too, which was great as I had never had the chance to browse their items in real life before. 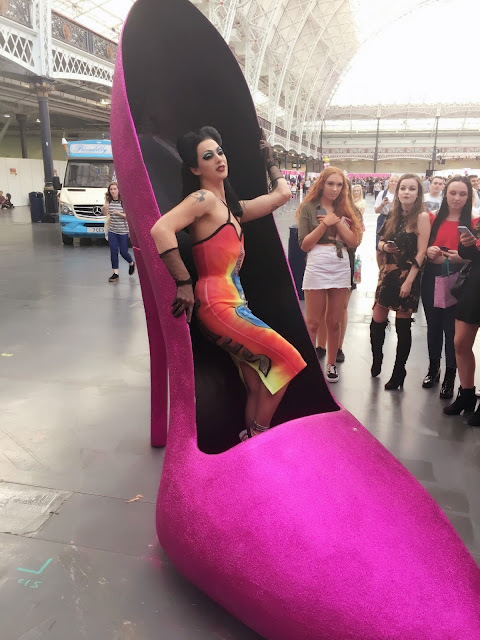 Now let's talk shoes! These 70's style Current Mood Clothing platforms had been on my wishlist for a while and I just knew I had to get them for this event. 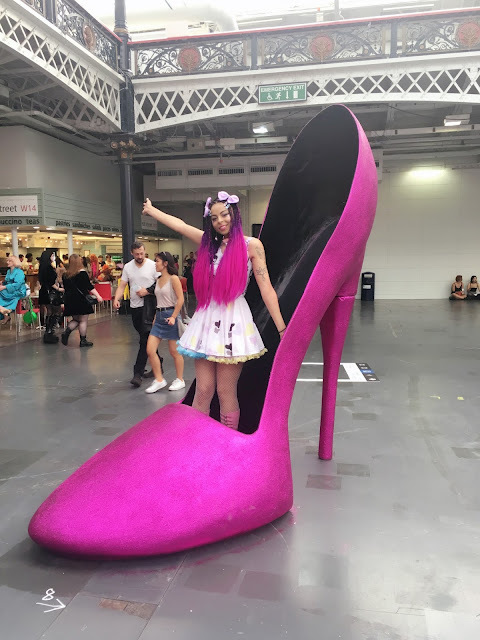 I'm already tall and they made me a giant, but when it comes to platforms I say the bigger, the better! My size was sold out when I got them so I opted for a size up. I was a little concerned that they wouldn't fit but upon their arrival I was pleased to learn that I had made the right choice as the sizing did indeed run small. Take note of this if you're thinking of purchasing them, too! Now I normally wear my hair half up, half down, as I like to have my hair down but still keep it out of my eyes. I decided to divide the top half into two sections and clip in some bows for added height and cuteness! I also experimented with my makeup by using glitter and gems on my highlighted cheek bones. The event was so much fun and it was such a surreal feeling to be able to see and interact with these drag queens who I'm so used to watching on a TV screen. The fact that I even got to breathe the same air as Katya was enough for me to be happy! I got to witness Sharon Needles goofing around in a ball pit and Violet Chachki posing provocatively in an oversized shoe. The best moment of all was when I spontaneously got to meet Carmen Carrera (who had three outfit changes throughout the day and looked stunning in all of them) and I spluttered something along the lines of "I love you, you look gorgeous" as we posed for a photo. She makes me look like a potato, but oh well. There were various activities to take part in, such as panels and speeches given by queens throughout the day and people from the audience got to lip sync battle against each other Drag Race style. I also bumped into Emily Meow, DJ and writer for Bristol's Eat Sleep Drag Repeat, who is one of my fave kawaii fashionistas. 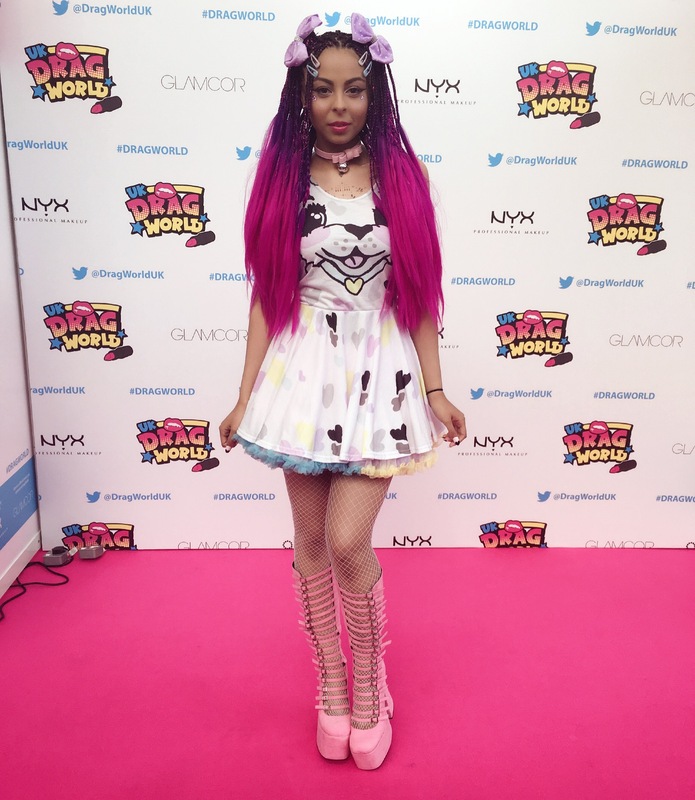 She looked flawless covered in pink bows from head to toe and I look forward to seeing her coverage of the event! There were plenty of booths selling merchandise, including a discount pop-up Nyx cosmetics store. 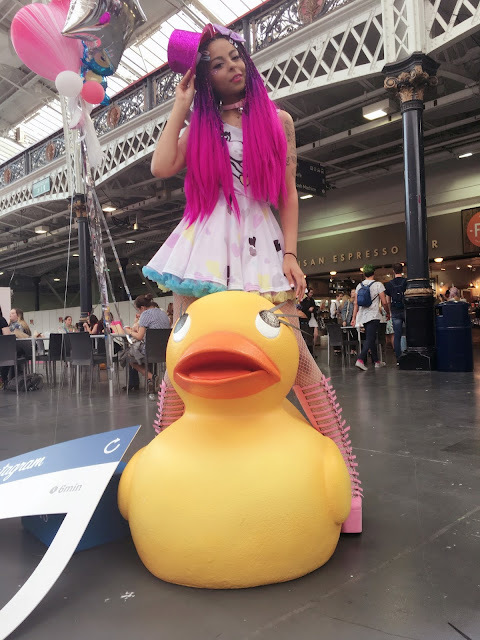 Dotted around the Olympia were fun opportunities to take pictures, like this rubber ducky and the lighted selfie mirror complete with props to pose with. I made friends with a super fluffy teddy and was half tempted to snuggle/smuggle him home with me. I had a great day! 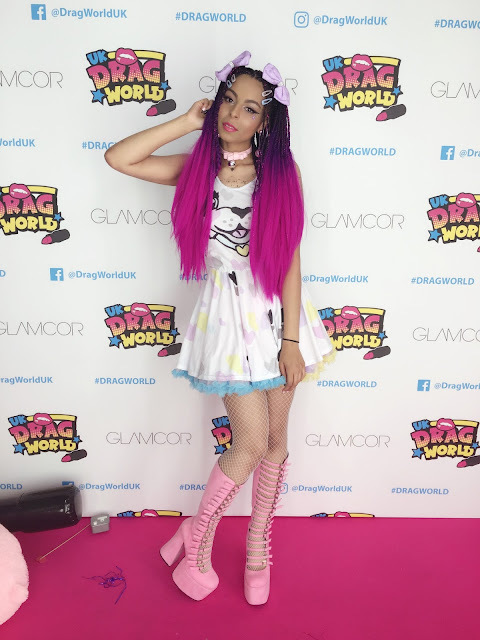 It was so much fun seeing everyone else dressed in their best drag and I developed some serious makeup envy getting to see everyone else's looks. I wish I had taken the time to get some more snaps of people to share. In a way, being Shady Kleo is like my own version of drag (on a much smaller scale than what queens do, of course!) and inspiring others to be more open minded, creative and feel comfortable wearing what they want is a common goal I'd say we both share. I'm definitely hoping the event has sparked enough interest to return with even more queens - Alyssa Edwards, please! - as I had a great time. I hope everyone else who went had heaps of fun too and if you didn't manage to get a ticket, keep an eye out for next year as I'm sure it will be back. 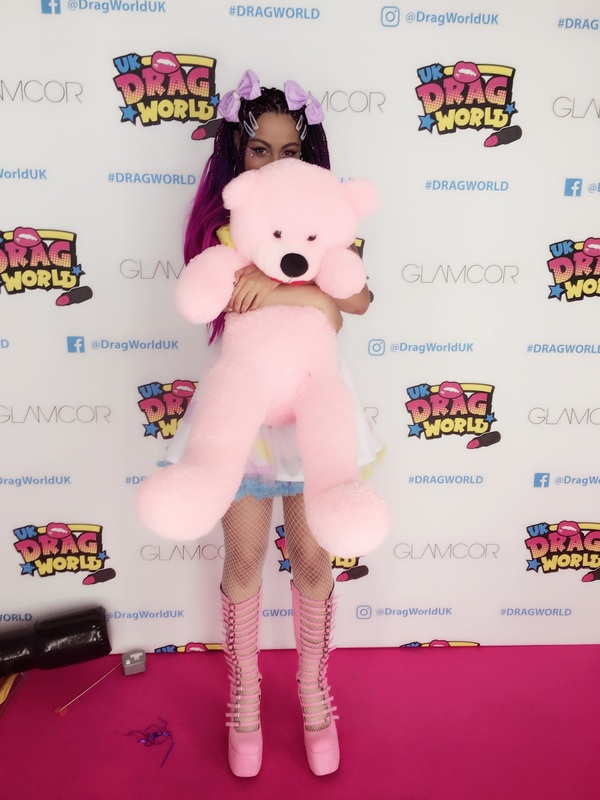 I went to DragWorld too and it was honestly the best weekend of my life. I really really really hope it'll be an annual thing. Hey Kleo! I just found this blog post, thank you so much for the mention of my brand 8th Sin! 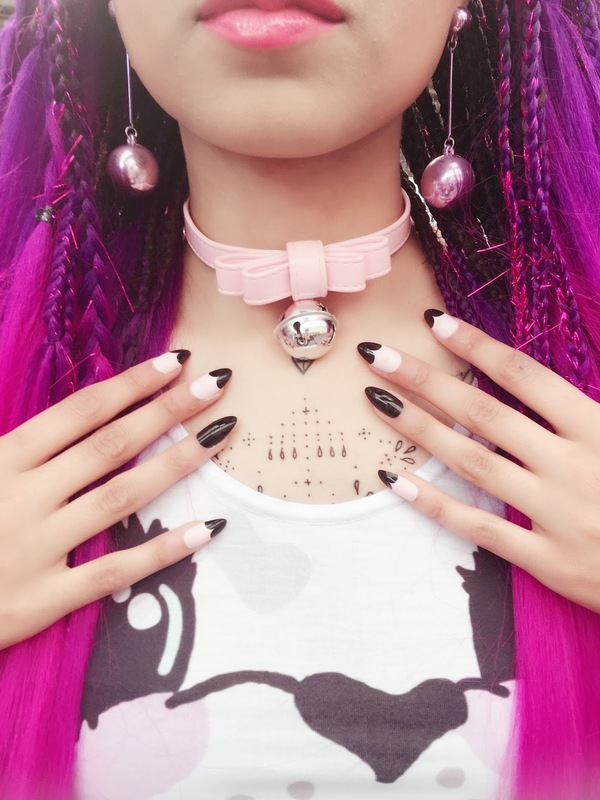 May I please share a photo of you wearing your choker on my social media and credit you? Thank you!